Buckwild star Shain Gandee and two other men died of carbon monoxide poisoning after the SUV they were riding in became partially submerged in deep mud, an autopsy has confirmed. Their bodies were found by a Shain Gandee’s friend. Shain Gandee, 21, his uncle David Gandee, 48, and Donald Robert Myers, 27, were last seen at a bar in Sissonville, West Virginia, at about 3 a.m. on Sunday morning. The reality star’s Ford Bronco was found more than a day later in deep mud off a dirt road, not far from his home. The Kanawha County Sheriff’s Office said on Tuesday that the death of each of the men was accidental and the cause was carbon monoxide poisoning. According to authorities, the exhaust pipe was buried in mud, causing the deadly gas to seep into the vehicle. 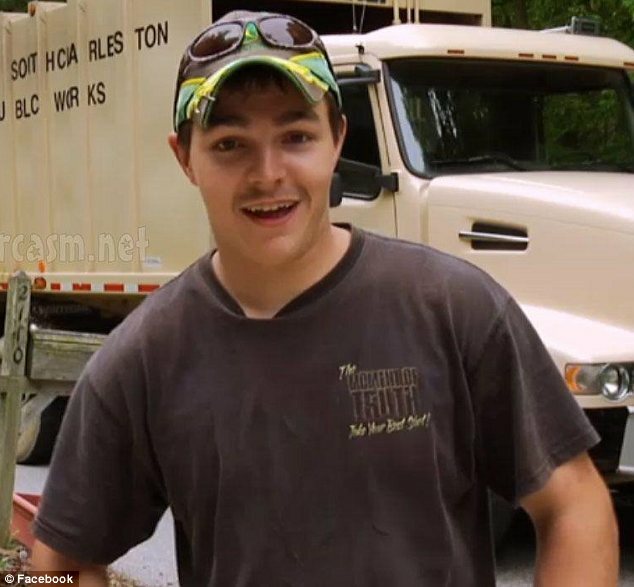 On Shain Gandee’s General Store Facebook page, his cousin Ashley posted: “I just wanted to let everyone know that the family feels that Shain died peacefully in his sleep without pain or suffering. The news came at the same time of an outpouring of support and prayers for Shain Gandee by fellow Buckwild castmembers and other MTV reality stars, who regarded him as a kind man with a big heart.